SA Menswear Week appoints top Nigerian model, Jimi Ogunlaja as the official model manager and training for all male models taking part in SA Menswear Week SS16. 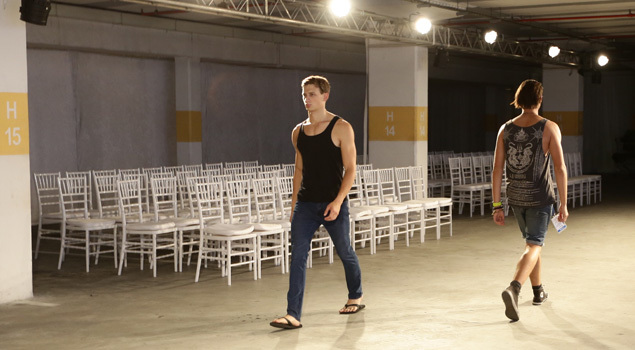 SAMW SS16 takes place in Cape Town, South Africa from 01 to 04 July 2015 at the Cape Town Stadium. Ogunlaja is best known as the face for major menswear brands across the continent, and is regarded as one of the top male ramp models in Africa. His experience and expertise will be invaluable in terms of the overall goal of SAMW, being the best fashion showcase on the continent. “It’s important for models on the ramp to walk correctly. They must understand how their bodies move, and how this affects the clothes that they are wearing” says Ogunlaja. He goes on to add, “as a ramp model, I was always asked where I learned to walk, and decided to eventually open the Jimisterio Catwalk Academy in 2012. Partnering with SA Menswear Week means we can assist in their vision to be the best fashion week in Africa”. Ryan Beswick, head of SA Menswear Week adds “It’s clear watching Jimi on the ramp, and having him assist our new faces programme, not just in training, but also working as the model manager to create the model pools, assist at castings and manage the guys backstage, it ups our offering to designers”. For new models wishing to apply for SA Menswear Week, please note that you need to meet certain criteria. And models wishing to enquire about the Jimisterio Catwalk Academy training programme, please email: jimiogunlaja@yahoo.com or call +27.71.978.0713.